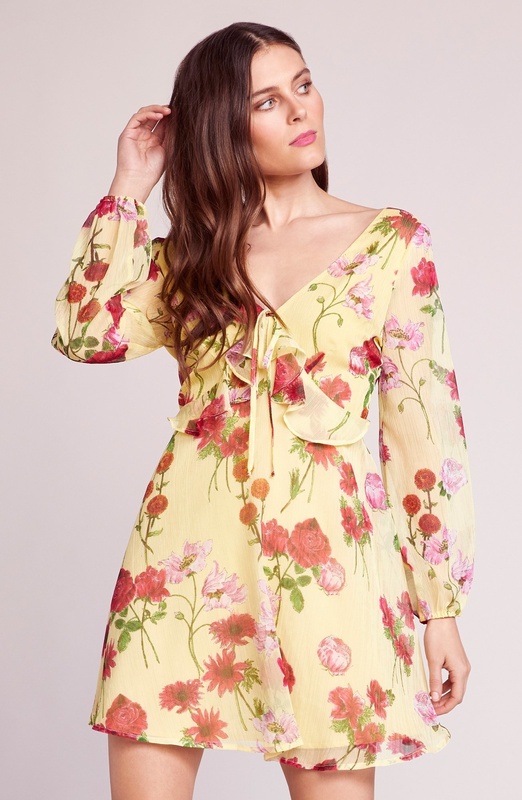 The Botanical Bae is a floral printed chiffon swing dress with long sleeves and a delicate ruffle in the front. 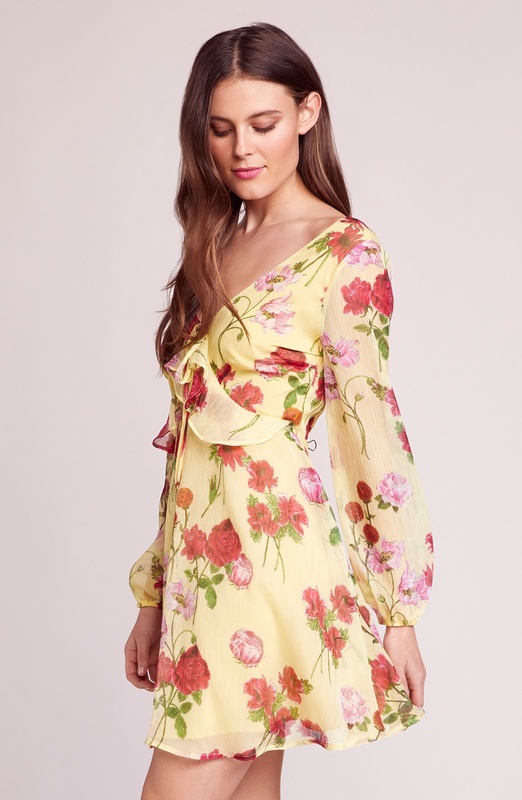 We’re really excited about SS19 so much color, this beauty has two of seasons hottest colors, yellow and coral! True to size, flowy sleeve with a tailored upper body and swing style bottom.